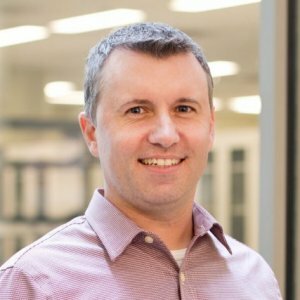 Christopher Lemmon, Ph.D. is an associate professor of biomedical engineering at Virginia Commonwealth University. He began his academic life as a Mechanical Engineer, receiving his B.S. in mechanical engineering from Lehigh University in Bethlehem, PA. He then went on to work for Delphi Harrision Thermal Systems, followed by two years at the University of Wisconsin, where he received his M.S. in mechanical engineering. At this point, he took a major career turn, deciding to move into biomedical engineering. Following a one-year stint as Lab Technician in the Cardiovascular Dynamics Lab at Johns Hopkins, he began his PhD at Johns Hopkins, where he worked under the co-direction of Lewis Romer MD and Christopher Chen, MD/PhD. His work focused on measuring traction forces generated by single cells, and their ability to use these forces to assemble new tissue. He went on to do post-doctoral research at Duke University Medical Center, focusing on molecular biology tools for studying extracellular matrix proteins, under the direction of Harold Erickson, PhD. He joined VCU as an assistant professor in 2012 and was promoted to associate professor in 2017. His lab focuses on the roles of mechanics and cell signaling in the extracellular matrix, with a particular focus on breast cancer and fibrosis. 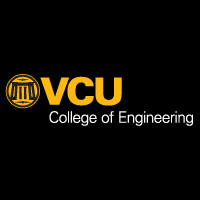 A study by three researchers in VCU’s Department of Biomedical Engineering enhances understanding of a cell’s response to mechanical cues from its surrounding environment, a key regulator of cell function. “Mechanotransduction Dynamics at the Cell-Matrix Interface” by assistant professor Seth Weinberg, Ph.D., student Devin Mair (pictured above) and associate professor Christopher Lemmon, Ph.D., employs a computational-experimental methodology with implications for further insights into mechanical interactions between cells. The study, which is part of a project funded by a $1.8 million grant from the National Institutes of Health, appears in the May 2017 issue ofBiophysical Journal. The mechanical stiffness of a substrate has been shown to dictate cell migration, proliferation, survival, and differentiation. The extracellular matrix serves as a mediator between the substrate and the cell. In this project, we are investigating how changes in stiffness affect the assembly of extracellular matrix in mesenchymal cells. Increased substrate stiffness is a hallmark of solid tumors (traditionally solid tumors are identified by palpating a stiffer mass relative to the softer surrounding tissue. Recent work has suggested that this change in mechanics plays a role in tumor growth and metastasis. However, it is not clear how changes in the mechanical properties of a tumor can drive changes in intracellular signaling pathways. In our lab, we are investigating the role of the extracellular matrix in mitigating stiffness-driven changes. We are investigating the effects of ECM assembly on Epithelial-to-Mesenchymal Transition (EMT), a process in which epithelial cells (cells that line the organs of one’s body) turn into mesenchymal cells (cells that build new tissue). We are also investigating how adipose stem cells (cells that are present in fat and can differentiate into adipose cells, osteocytic cells, or mesenchymal cells) assemble ECM in response to both stiffness changes and soluble mediators in the tumor microenvironment. We are also directly investigating how changes in stiffness drive changes in ECM expression in malignant, pre-malignant, and healthy epithelial cells. This work is funded by a National Science Foundation award. Computational models can give great insight into how physical events occur. We are working in collaboration with Dr. Seth Weinberg (VCU Biomedical Engineering) to develop a model that explains how substrate stiffness and contractile forces stretch ECM proteins to facilitate their assembly into insoluble fibrils. This work is funded by an NIH R01 award to Drs. Lemmon and Weinberg. Epithelial-­Mesenchymal Transition (EMT) is a key transdifferentiation event that is required for embryonic development and wound healing and is misregulated in several disease states including fibrotic disease and cancer. The initiating events that drive EMT require changes in the contractile forces acting on cell-­cell and cell-­matrix junctions and changes in cell markers. Here we will develop both novel computational and experimental platforms that predict and measure the key mechanical and biochemical signaling events in this system to understand how the interactions between mechanics and biochemical signaling drives this crucial process. Fibrosis is responsible for nearly half of the deaths in the western world, and is seen in nearly all organ systems. It is characterized by aberrant assembly of extracellular matrix which is first established by the assembly of a matrix of fibrils consistin of the protein fibronectin; once assembled, fibronectin fibrils can localize soluble, pro-fibrotic growth factors to the cell surface to create a self-sustaining feedback loop that facilitates furthr fibrosis. In this work, we will develop and experimentally validate a computational biophysical model that predicts FN fibril assembly and subsequent localized growth factor signaling to better understand the process of fibrosis. Fibrosis is a pathological condition in which tissue healing proceeds in an uncontrolled manner. It has been estimated that nearly half of all deaths in the western world can be attributed to fibrosis. Fibrosis occurs in nearly every organ, including liver, kidney, heart, skin, and lung. While it is well appreciated that fibrosis is associated with organ failure in many disease states, there are few treatments that have proven successful. This award will support fundamental work in this area by studying the mechanobiology of fibrosis. Mechanobiology is a growing field in which researchers investigate the role of mechanical properties of cells and tissues in disease progression. The research team hypothesize that fibrosis proceeds by initially increasing the stiffness of the tissue, which then leads to the generation of larger contractile forces in local cells, which in turn drives the assembly of more stiff fibrotic tissue, resulting in uncontrolled progression of fibrosis. This research has the potential to discover important insights in fibrosis treatment by investigating the mechanical signaling that underlies fibrosis progression. Course involves the study of fundamental principles of fluid mechanics and mass transport as well as application of these principles to physiological systems. Fluid mechanics principles covered will include conservation of mass and momentum, laminar and turbulent flow, Navier-Stokes equations, dimensional analysis, Bernoulli’s equation, and boundary layer theory. Mass transport principles will include diffusion, convection, transport in porous media, and transmembrane transport. Concepts will be applied to studying diffusion in biological tissues, electrolyte transport, vascular transport, blood flow mechanics, and cardiovascular flow. The course will also cover organ-specific transport processes, including oxygen transport in the lungs and blood, and mass transport in the kidney. Students will study the process by which an extracellular protein binding event is transduced and interpreted as an incoming signal into a cell. Students will learn the biology of cellular signal transduction and will also learn how to apply computational models and experimental techniques to predict and investigate these pathways. Students will follow the course of a protein within a signal transduction cascade, from binding to a receptor, activating intracellular pathways, inducing new transcription and translation and targeting of the protein to its final location. Students will develop MATLAB-based mathematical models to predict signal transduction dynamics, and then will study experimental techniques that are used to both disrupt and measure signal transduction. The ability of cells to sense and respond to mechanical cues from the surrounding environment has been implicated as a key regulator of cell differentiation, migration, and proliferation. The extracellular matrix (ECM) is an oft-overlooked component of the interface between cells and their surroundings. Cells assemble soluble ECM proteins into insoluble fibrils with unique mechanical properties that can alter the mechanical cues a cell receives. In this study, we construct a model that predicts the dynamics of cellular traction force generation and subsequent assembly of fibrils of the ECM protein fibronectin (FN). FN fibrils are the primary component in primordial ECM and, as such, FN assembly is a critical component in the cellular mechanical response. The model consists of a network of Hookean springs, each representing an extensible domain within an assembling FN fibril. As actomyosin forces stretch the spring network, simulations predict the resulting traction force and FN fibril formation. The model accurately predicts FN fibril morphometry and demonstrates a mechanism by which FN fibril assembly regulates traction force dynamics in response to mechanical stimuli and varying surrounding substrate stiffness. Epithelial-Mesenchymal Transition (EMT) is a dynamic process through which epithelial cells transdifferentiate from an epithelial phenotype into a mesenchymal phenotype. Previous studies have demonstrated that both mechanical signaling and soluble growth factor signaling facilitate this process. One possible point of integration for mechanical and growth factor signaling is the extracellular matrix. Here we investigate the role of the extracellular matrix (ECM) protein fibronectin (FN) in this process. We demonstrate that inhibition of FN fibrillogenesis blocks activation of the Transforming Growth Factor-Beta (TGF-β) signaling pathway via Smad2 signaling, decreases cell migration and ultimately leads to inhibition of EMT. Results show that soluble FN, FN fibrils, or increased contractile forces are insufficient to independently induce EMT. We further demonstrate that inhibition of latent TGF-β1 binding to FN fibrils via either a monoclonal blocking antibody against the growth factor binding domain of FN or through use of a FN deletion mutant that lacks the growth factor binding domains of FN blocks EMT progression, indicating a novel role for FN in EMT in which the assembly of FN fibrils serves to localize TGF-β1 signaling to drive EMT. Cells respond to mechanical cues from the substrate to which they are attached. These mechanical cues drive cell migration, proliferation, differentiation, and survival. Previous studies have highlighted three specific mechanisms through which substrate stiffness directly alters cell function: increasing stiffness drives (1) larger contractile forces; (2) increased cell spreading and size; and (3) altered nuclear deformation. While studies have shown that substrate mechanics are an important cue, the role of the extracellular matrix (ECM) has largely been ignored. The ECM is a crucial component of the mechanosensing system for two reasons: (1) many ECM fibrils are assembled by application of cell-generated forces, and (2) ECM proteins have unique mechanical properties that will undoubtedly alter the local stiffness sensed by a cell. We specifically focused on the role of the ECM protein fibronectin (FN), which plays a critical role in de novo tissue production. In this study, we first measured the effects of substrate stiffness on human embryonic fibroblasts by plating cells onto microfabricated pillar arrays (MPAs) of varying stiffness. Cells responded to increasing substrate stiffness by generating larger forces, spreading to larger sizes, and altering nuclear geometry. These cells also assembled FN fibrils across all stiffnesses, with optimal assembly occurring at approximately 6 kPa. We then inhibited FN assembly, which resulted in dramatic reductions in contractile force generation, cell spreading, and nuclear geometry across all stiffnesses. These findings suggest that FN fibrils play a critical role in facilitating cellular responses to substrate stiffness. Recent work has indicated that the shape and size of a cell can influence how a cell spreads, develops focal adhesions, and exerts forces on the substrate. However, it is unclear how cell shape regulates these events. Here we present a computational model that uses cell shape to predict the magnitude and direction of forces generated by cells. The predicted results are compared to experimentally measured traction forces, and show that the model can predict traction force direction, relative magnitude, and force distribution within the cell using only cell shape as an input. Analysis of the model shows that the magnitude and direction of the traction force at a given point is proportional to the first moment of area about that point in the cell, suggesting that contractile forces within the cell act on the entire cytoskeletal network as a single cohesive unit. Through this model, we demonstrate that intrinsic properties of cell shape can facilitate changes in traction force patterns, independently of heterogeneous mechanical properties or signaling events within the cell. Fibronectin (FN) is an extracellular matrix protein that is assembled into fibrils by cells during tissue morphogenesis and wound healing. FN matrix fibrils are highly elastic, but the mechanism of elasticity has been debated: it may be achieved by mechanical unfolding of FN-III domains or by a conformational change of the molecule without domain unfolding. Here, we investigate the folded state of FN-III domains in FN fibrils by measuring the accessibility of buried cysteines. Four of the 15 FN-III domains (III-2, -3, -9, and -11) appear to unfold in both stretched fibrils and in solution, suggesting that these domains spontaneously open and close even in the absence of tension. Two FN-III domains (III-6 and -12) appear to unfold only in fibrils and not in solution. These results suggest that domain unfolding can at best contribute partially to the 4-fold extensibility of fibronectin fibrils. Rac1 influences a multiplicity of vital cellular- and tissue-level control functions, making it an important candidate for targeted therapeutics. The activity of the Rho family member Cdc42 has been shown to be modulated by tyrosine phosphorylation at position 64. We therefore investigated consequences of the point mutations Y64F and Y64D in Rac1. Both mutations altered cell spreading from baseline in the settings of wild type, constitutively active, or dominant negative Rac1 expression, and were accompanied by differences in Rac1 targeting to focal adhesions. Rac1-Y64F displayed increased GTP-binding, increased association with βPIX, and reduced binding with RhoGDI as compared with wild type Rac1. Rac1-Y64D had less binding to PAK than Rac1-WT or Rac1-64F. In vitro assays demonstrated that Y64 in Rac1 is a target for FAK and Src. Taken together, these data suggest a mechanism for the regulation of Rac1 activity by non-receptor tyrosine kinases, with consequences for membrane extension.